WHY TRAVEL TO MASJID AL AQSA WITH US? ﷽ Assalamualaikum Brothers and Sisters. This has got to have been the most magical expedition I have experienced with 3 generations of my family, Alhumdulillah. A place where Islamic history really comes to life! The booking process could not have been any easier... all done online with the click of a button. Zaytoon Tours took care of EVERYTHING- from Transfers (To/From the airports), Flights (direct), Accomodation-Hashimi Hotel & Hostel (approx 10 min walking distance from Masjid Al Aqsa), Food &Drinks and all Ziyaraat. The journey began many months before we actually travelled in regular Whatsapp messages from Mufti Adam Esmail. We each received regular updates regarding travel information but more importantly were the historic facts of the Holy Land. Mufti Adams broad knowledge came across in his very inspirational messages in regards to this journey we were preparing ourselves for. His messages also made me realise how ignorant I was to the significance of Masjid Al Aqsa in Islamic History which inspired me to do my own research prior to visiting here. We were all invited to attend a seminar 2 weeks prior to our journey. It was a beautiful opportunity to meet fellow brothers and sisters who we would be spending the next 7 days with. It also gave a hint of what to expect from Zaytoon Tours. How easy it was to get there, literally jumping on a plane and 5 hours later I was in the Land of The Prophets (pbut) walking in their footsteps!! Every rock and every stone had a story to tell and Mufti Adam told it with extensive knowledge and passion. 7 days was not enough!! Every day began with Salah in Masjid Al Aqsa followed by a study circle where Mufti Adam shared his knowledge and stories with us. Walking within the streets of Jerusalem and Masjid Al Aqsa, it was very visible how the blessed land is under occupation. Prior to travelling I was filled with anxiety and concerns about travelling to such a war torn place with all my nearest and dearest. However, being around Mufti Adam really erased all this. Not once was he intimidated by any army presence. His confidence soon rubbed off on all of the group. It was so inspiring, especially when he would remind us everyday, "This is OUR Masjid". Praying Salah under the Dome of the Rock, right next to the place from which the beloved Prophet (pbuh) ascended to Heaven was surreal! Everyday was a new adventure and all I had to do was turn up. Mufti Adam and Zaytoon Tours took care of EVERYTHING else. 3 meals were provided everyday...travel arrangements to all ziyaraat were included. I can't even total up the amount of different sights that I visited on this trip and even then it was just the tip of the iceberg. 7 days really was not enough! Having spoken to fellow U.K. tourists whilst over in Jerusalem, Alhumdulillah I feel so blessed to have booked with Zaytoon Tours. The value over the cost was exceptional. From the proximity of the hotel to the Masjid, the cleanliness of the hotel, 3 meals provided daily to air conditioned coach travel for all ziyaraat, I really could not have asked for much else from a hassle free all inclusive package. It really was a trip of a lifetime which I was able to experience with my loved ones (Alhumdulillah). I really can't recommend it enough! Spiritual, Educational and Adventurous... there really were heaps of everything! This is the 3rd holiest place for Muslims and should be near the top of all of our bucket lists. A message from the people of Palestine "Don't forget about us, remember us in ur Du'as and pray for our freedom and for the end of the occupation of Masjid Al Aqsa". In Sha Allah let's all make the intention to visit one day... our brothers and sisters need us. I was very fortunate that I was able to travel to Baitul Maqdis with Zaytoon Tours. It is rare to come across such a well organised group that goes out of their way to make things as easy as possible for you. Once booked I didn’t have to worry about anything; everything was included in our package and they even helped us to book our flights. Having travelled previously to Palestine, with another group, I was surprised how little I knew about the masjid, its history, and significance. It was clear to me that Mufti Adam has spent many years studying and researching about Al-Aqsa and he used every opportunity to pass on his knowledge to us. His daily WhatsApp messages prior to our journey really helped me get into the right frame of mind and excited about going to Al-Aqsa. The morning study circles provided the perfect platform for the day’s activities and included some much-needed advice on self-improvement. His knowledge of the history behind each place we visited really brought it to life. Each day was well structured; starting with a study circle in the morning after fajr in masjid Al – Aqsa, free time to spend in Jerusalem till Zuhr, and a guided tour till the end of the day. In the space of a week we were able to visit Hebron, Bethlehem, Azaria, Jericho, Amwaas, Silwaan, and had an extensive tour of the old city of Jerusalem. Mufti Adam’s experience really shone through throughout the trip as he arranged visits to masaajid and other heritage sites that would be very difficult for others to organise. Overall, the trip was excellent value for money. The cost per day (taking into account hotel, flights, tours, transfers, 3 meals a day, etc.) was cheaper than any other group I’ve come across. More importantly, the specialist knowledge and understanding Mufti Adam has of Palestine and Masjid Al - Aqsa is very hard to find. I’d like to thank Mufti Adam and brother Ilyas (and everyone else involved) for organising a very good trip which will stay with me for many years to come. JazakAllaahu Khairan. So we have just returned from our trip to Palestine with Zaytoon Tours. To say we were a little apprehensive about the trip is quite an understatement. Going on such a hands on trip was something out of our comfort zone as we were more used to going away and putting our feet up. However, as soon as our son had booked us onto the tour, we were invited onto the 2019whatsapp group and immediately felt at ease. We were guided, advised and informed about every minute detail regarding the trip. We were always kept in the loop and not a single detail was overlooked. Everything was just so simple! Mufti Adam Saab always made us feel so comfortable, the way he looked after us in terms of never letting us go hungry- the food always surprised us! Always making sure we fully understood the places we were visiting, giving an in-depth explanation and telling the stories beautifully! It has been an absolute pleasure to be part of the 2019 tour and we are so very glad we didn’t change our minds and cancel our trip. Our whole outlook on Palestine has changed immensely, we feel so strongly about it now and have developed such a deep love for it that we cannot wait to return with Zaytoon Tours once again in the future bringing all our kids and grandkids with us! It’s such a blessed and beautiful place, we strongly advice anyone to visit if they ever have the opportunity and be sure to book via Zaytoon Tours - you won’t be disappointed! Insha'Allah those reading the review are in the best of health and emaan. Allhamdulillah, I have had the beautiful opportunity to have encountered the experience of visiting Masjid Al -Aqsa on February 18th 2019for one whole week. This is an experience I shall never forget and will always be embedded in my heart inshaAllah. Firstly, going with Zaytoon was my first time. I came across this institute through my husband who had the pleasure of visiting Masjid Al Aqsa twice with Zaytoon. His feedback was nothing but praise. He said, "Whenever I make intention to go to Masjid Al-Aqsa it will always inshaAllah be with Zaytoon." This portrayed to me a positive outlook upon Zaytoon. Having heard not only the husbands review but other peoples too, gave me confidence to go with Zaytoon and experience this lovely feedback for myself, in which I can truly say Allhamdulillah I definitely have. The group attended a very organised and informative seminar, firstly addressing and renewing our intentions as a group but also the necessary information about packing, passport, security etc regarding the airport and once we land in Tel Aviv as to what to expect. We were all given little packs of a tasbeeh, prayer mat, note book and a rucksack which was very thoughtful and helpful during this journey. From this seminar we were introduced to the idea of being in the state of regular Dhikr and Durood to enhance and prepare our spiritual development. This is one of the main practices myself and so many others have taken away from this trip Allhamdulillah and hope to continue inshaAllah. Moving on to the actual week itself. The tour was above and beyond MashAllah. It was better than I had originally anticipated. Our group consisted of a wide age range from elders, adults, teenagers, young children and babies. As a group, I felt we were extremely cared for and well catered considering the age range and number of people. The hotel was great in which we stayed in - 'Hashmi Hotel'. The group was provided with breakfast, lunch and a lovely dinner on the roof tops after Isha salat. No one Allhamdulillah experienced any difficulty or troubles the security. We were a part of regular study circles after Fajar Salat in the Masjid and would leave after praying Ishraq another beautiful practice we had participated in. The study circles enabled us to reflect on the reminders and what we had actually learned throughout the day. Everyday was exciting, informative, blessed and once again beneficial! Mufti Adam delivered excellent talks about great sabahas (RA) and prophets (AS), things we were unaware of. We visited many graves of great prophets (As) and Sahabas (RA). The facts about Masjid Al Aqsa itself was overwhelmingly amazing and yet still have so much more to learn. Whenever we had the chance, Mufti Adam would stop and inform us of another part of Masjid Al Aqsa. Overall, this experience was a wake up call towards Masjid Al Aqsa, a forgotten place which needs to be revived with supporting Muslims over the world. This will further encourage us to stand in the cause of liberating such a beautiful blessed place from the heart-breaking oppression and occupation. I will most definitely recommend anyone to visit with their friends and families. There are many excellent tour groups in the UK but for me Zaytoon is most recommended and inshaAllah will book with them again without hesitation. Please consider booking with Zaytoon and VISIT Masjid Al Aqsa!!! We travelled with Zaytoon tours to Palestine in February with four young children (ages 9,7,5 and 1). It was an amazing experience, very organised and delivered extremely well. Despite any initial nervousness of travelling to such a place and with young children , the whole approach to the trip by the group organizers really put us at ease. Beforehand, we were prepared mentally as to what to expect and also spiritually regarding the importance and virtues of this blessed land via regular updates through WhatsApp and a pre travel seminar. Once there, we really saw Palestine in a new light helped along by Maulana’s knowledge and expertise in this field. For the children, it really brought history to life as they could relate the places we visited to stories of the prophets/saints they read about in madrassah, and they too have come back with a greater awareness and understanding of Palestine and the current situation. We felt everything was well taken care off and would definitely recommend Zaytoon Tours to anyone considering travelling to Palestine. I travelled to Al Aqsa for the second time with Zaytoon Tours after having an amazing experience on the first occasion! Zaytoon Tours makes the whole experience stress free! You begin by booking a place via the website which is straightforward after which you receive a confirmation by Mufti Adam directly that your reservation has been made pending payment and the instructions for that are made very clear. There is a pre travel seminar which explains the virtues of Masjid Al Aqsa, helps us correct our intention of visiting the masjid and also gives us logistical information regarding the travel itself. You are given a string bag with essentials such as a quality prayer mat, digital tasbeeh and notepad. During the seminar, you have a chance to get to know the fellow group members with whom you’d be spending most of your time on the trip. Closer to the travel date Mufti Adam sends daily reminders and virtues about Al Aqsa and the travel itself. These messages help build a greater yearning to travel to the blessed land. The hotel in which you stay, Hashmi Hotel, is a very pleasant experience. The owners and staff are wonderful, very hospitable and the rooms are clean. The location for the hotel is a short walk to Al Aqsa masjid and you have a great view of Al Aqsa masjid from the hotel balcony where you have your evening dinner. Mufti Adam shares his wealth of knowledge and experience throughout the entire stay. This tour focuses a lot more on your spiritual betterment. It’s a lot more than just sight seeing and visiting holy places. Through the daily study circles you are encouraged to be a better person. The journey was very cost effective as it is a guided experience throughout and that breakfast, lunch and dinner is all inclusive! The portion sizes for the meals are very generous and sometimes even too much! Mufti Adam and his team go above and beyond by ensuring that prior arrangements are made to ensure that lunch is served wherever we are travelling that day. Quality is not compromised in any part of the travel and the coaches are all comfortable with WiFi on board. Overall, my experience, both times, has been overwhelming and has exceeded expectations. I highly recommend travelling to Al Aqsa with Zaytoon tours for the best possible experience and to make the most out of your journey to the blessed land. Over the past few years friends of mine were able to visit the blessed land with a few different groups but they all recommended Zaytoon! I found this surprising and quite simply my mind was made up and I decided to also go with Zaytoon. Alhamdulillah I am glad I did. This is an experience I will never forget! I would like to stress that this was not a holiday, but rather a spiritual journey; only by going there will you actually understand what I mean by this. From the beginning to end of the journey the key word I would use is “khidmah”. The khidmah was exemplary and it is evident that the group leaders genuinely enjoyed serving the group. They accommodated everyone’s needs - from the young children to the elderly. Before we actually went to Al Aqsa Mufti Adam provided us with regular updates and background information via WhatsApp relevant to Al Aqsa, this meant we were able to make the most of our time there and also allowed us to better understand the significance of the various locations etc. There was also a seminar arranged which gave the group the chance to meet each other with Mufti Adam taking this opportunity to further explain our journey and the significance of Al Aqsa to a Muslim. Whilst in Palestine EVERYTHING was taken care of by Zaytoon including food (breakfast, lunch and dinner), travelling, transfers and accommodation. I had absolutely no worries regarding these items and I can confidently state that this was the unanimous view amongst the group. What made this experience extremely beneficial was that Mufti Adam provided the Islamic context to all the ziyarats that we did, he wasn’t simply a tour guide! This is what makes the experience with Zaytoon special. I would definitely recommend Zaytoon. The price of £1k for EVERYTHING is well worth it - I’d happily pay double for this experience. A tour meticulously arranged and well guided, filled with a lot of spirituality, learning and history coupled with an excellent hotel in the old city of Jerusalem serving local dishes. It was a lot more than what I expected and a wonderful experience to be tried again and again. "I've been wanting to go Palestine for quite some time and have been quite hesitant about who I will be going with, as I had received a lot of negative feedback about other travel company’s. Now I heard about Zaytoon Tours through multiple friends and only heard good things about them and so decided to give them a go. I can say from start to end it was amazingly organized by Mufti Adam, brother ilyas and omar. The actual experience itself is indescribable, this had to be the most amazing experience that I have ever had! Reading reviews won't provide justice you need to live the experience with Zaytoon and especially Mufti Adam, his history knowledge combined with his Islamic knowledge made this trip extra special. The activities, sessions and ziyarats we did together we're amazing and felt the unity amongst the group. I look forward to going again with Zaytoon and mufti Adam"
AN AMAZING EXPERIENCE FROM START TO FINISH! Alhamdulillah I had the opportunity to visit Al Aqsa with Zaytoon Tours and what an experience it was! From the moment I paid my deposit everything was handled quickly and efficiently. A few weeks before we were due to travel, Mufti Adam would send us all daily reminders and key information regarding the trip. We also had a pre travel seminar where we were briefed on what to expect and a full explanation of the itinerary. This was very beneficial as it gave us an opportunity to bond with the group before we travelled together. The travel arrangements from start to finish were exceptionally good, everything was done for us. All we had to do was check our bags in at the airport. The travel arrangements in and around Palestine were outstanding! We stayed at Hashmi Hotel in the Old City, it was a nice location, only a short walk away from Masjid Al Aqsa. The rooms were cleaned daily and the food was delicious! The staff were also very friendly. Zaytoon Tours seem to have a very good relationship with Hashmi Hotel which made the experience more enjoyable. The ziyarat and tours were just something else! This is what makes Zaytoon stand out from the rest! Mufti Adam's knowledge and passion for Palestine is just incredible MashaAllah. The tours were very well planned and executed. This wasn't just a tour of Palestine, it was a spiritual journey. Not only did we learn so much about the importance and significance of Al Aqsa, we also learnt about the history of our religion and how it links the Ambiya A.S to the blessed lands of Al Aqsa which made the journey surreal. Overall, absolutely amazing experience. Excellent value for money and I can’t recommend it enough. 11/10 for me! Worth every single penny and more! Jazakallahukhayran to Mufti Adam and the guys at Zaytoon Tours for giving us an unforgettable experience. I will definitely be joining you again InshaAllah. Alhamdulillah. I was extremely happy with everything, from the pre-travel seminar to the whatsapp messages and updates - everything was clearly thought-out (everything is arranged - once you've paid for the trip, other than packing your suitcase there is little else to worry about). I can't stress how well things were organised. Food, flights, transfers, accommodation; they're all included. You could literally travel with no extra money and not have to worry about anything during the trip. I was travelling with my mother, who is elderly, and her needs were taken care of with complete care and consideration. Prior to travelling, my primary concern was getting a good deal. I contacted numerous groups and considered various aspects such as the cost, the dates, the length of the tour etc. and Alhamdulillah, I got the best deal; I'm glad Allah made my heart settle with Zaytoon Tours. There are other packages which cost slightly less, but based on everything which is included, and the manner in which everything is organised, this would definitely be the most cost-effective. I would have no hesitation in recommending Zaytoon Tours to anyone interested in visiting Al-Aqsa or Palestine, so much so that if I was to visit again, I don't think I'd go with another group. One of the marked differences between this package and other packages is that this trip is organised and delivered by Mufti Adam which makes a vast difference in terms of the impact of the visit. I personally benefited immensely because of this. I visited Al-Aqsa twice prior to this trip, however, this visit was not only the most memorable but also the most rewarding. Zaytoon Tours motto is "Educational, Spiritual, Inspirational" and, without sounding corny, that's exactly how I'd describe the overall experience. All three elements were apparent and the culmination of them has left a profound impact on me. Firstly, Mufti Adam's knowledge on the religious and historical aspects of Al- Aqsa is refreshing to say the least; secondly, he also has a clear enthusiasm for the liberation of Al-Aqsa and the oppressed people of Palestine, which really comes through during the trip; and thirdly, everything is framed in a spiritual context. This spiritual dimension adds so much more to the trip - which is ultimately the primary pull of visiting Al-Aqsa for most of us; to reconnect to our Creator. Alhamdulillah by the grace of Allah, my family and I had the opportunity to travel to Masjid Al Aqsa with Zaytoon tours and Mufti Adam. What can i say, It was an amazing experience, which words really cannot describe or do justice. But this review is meant to try and explain just how good this trip was. This was very easy, and just involved filling out a simple form online. And then everything else was done through messages via whatsapp. I found this really helpful as it allowed the group to get to know each other, and so made it much more comfortable to travel together. Mufti Adam made a clear effort to get everyone introduced to one another, as well as making each of us renew and refresh and correct our intentions. It also had lots of important information about what to expect on route to masjid al Aqsa, from the flight to the airport and to the hotel. The food served was also very good Alhamdulillah. From around 40 days before leaving, mufti saab sent a daily whatsapp message, which mainly included information about al Aqsa, including virtues, specialities of the areas, and the importance of visiting this blessed place. There were also some messages which were travel updates and other logistical information. I found these messages to be really helpful, as they kept the desire and fire alive in my heart to visit masjid al Aqsa, and also increased my zeal to get there. Each day I found myself waiting for the message, to further enhance the desire to visit. It was also beneficial, as we could look back at the messages and remind ourselves of the virtues etc. All the travel arrangements were made by mufti saab. The coach from Walsall + Birmingham to Luton, the flights, the transfers in Palestine, the coaches were all on point. The coaches were very good and comfortable, and all seating arrangements were good. The coaches were always close to the hotel or Masjid al Aqsa, depending on where we were going from or coming to. The Hashimi hotel is a very good hotel, with everything you would expect. It is very new, and so the rooms were very comfortable, and the en-suite bathrooms were clean and very nice. There is a lift, which even when the hotel was very full, was not busy. There is one flight of stairs which leads to the hotel, but after this the lift is available. The workers at the hotel are very approachable and helpful. It is approximately 6 minutes walk from hotel to the gate of masjid al aqsa (normal paced walking) and a further 4 minutes to get right to the front of masjid al aqsa, in jami al qibli (the black domed musalla at the front of masjid al Aqsa). There are ample shops on route from hotel to masjid al aqsa, including money exchange very close by. Alhamdulillah the food was on point throughout the whole week. Breakfast and dinner were provided in the hotel, and lunch was provided wherever we were that day as part of the ziyarats. MashaAllah there was a good variety of food, and my family and I were all very impressed. We didn’t spend any extra money on food, as the food was really good throughout. Alhamdulillah because of the pretravel seminar, we were all acquainted with each other before travelling, and this made it much more comfortable travelling with the group. It was really amazing to see all members of the group help each other, with luggage, helping elderly people etc. Every day after Fajar mufti saab would conduct a study circle in masjid al aqsa, where we would discuss the history of whatever we would be seeing that day in the ziyarats. He would also use this time to discuss other important aspects of deen, which would instil in us the desire to practice on deen. Mufti saab uses a mic and speaker to ensure the whole group could hear clearly. He would explain each and everything we saw, in light of quran and hadith. It was amazing to see the places where the stories in the quran actually took place, and physically be there. Mufti saabs extensive knowledge of masjid al Aqsa and the rest of Palestine, is only outshone by his passion and love of masjid al aqsa and its liberation. He also knows, due to his multiple visits to Palestine, what to expect, and where to expect it, as well as which ziyarats should be done in which order keeping the comfort of the group in mind. For what we received in terms of facilities and food, as well as the knowledge and passion of musti saab, aswell as all the help from others who helped, I think this is really good value for money. It was the best thing I have spent money on for a long time, not only because of the religious significance, but also because of how well we were looked after. Personally i have seen slightly cheaper groups, but 1) they may stay in a hotel further away, 2) they may not provide the same all inclusive service in terms of meals, 3) they may not have the same extensive ziyarats as we did (eg one i saw said said they do 1 day ziyarat around jerusalem, and one day in masjid al aqsa, whereas we had daily ziyarats with mufti saab). And 4) even if some one finds something which does everything else the same but is cheaper, just the presence of mufti saab with us was worth the extra money, due to his manner, knowledge, passion, akhlaaq, and the effort put on tarbiyat and spiritual enhancement of the group. As mentioned before, word cannot do justice to this amazing spiritual, enlightening and blessed journey. Zaytoon tours' motto of "Educational, Spiritual and Inspirational" is not just words, but is seen throughout the whole journey from booking up to coming back, and even still (10 days after coming back). This underpins everything that mufti saab aims to do, This is not just a tour, but a life changing experience which i want to experience again and again. Anyone contemplating visiting masjid al Aqsa, i would strongly recommend that you book with zaytoon tours. You will 100% not be disappointed, and you will want to go again and again. And if you haven't thought of going, start saving up, and make this a priority, The need of the hour is for the ummah to frequent masjid al aqsa, and to show that the ummah values and cares for masjid al aqsa, and that masjid al aqsa is not a political football nor will the ummah sit back and watch as it is taken over day by day by the illegal occupation. Oh Allah, free masjid al aqsa and Palestine from the illegal occupation, and bring it completely into the control of the muslim ummah, allow me and all of the ummat to frequent this blessed place, and accept the efforts of Zaytoon tours and all the people involved with it, for the liberation of masjid al aqsa. Aameen. My parents and I have just recently come back from Palestine and how I wish we had stayed there! I cried like a baby on the last day because I did not want to come back. So that basically sums up how amazing this experience was for me. Anyway from two it became three as my mother was not phased at all and wanted to come too. It went from a simple whatsapp message to request three places, to paying the deposit. All which only took a matter of minutes to do. From then on there were regular messages on whatsapp, explaining what was to come. A breakdown of the trip, history of Palestine, motivating and inspirational messages preparing us not just for the journey but also spiritually for the long term. Alhamdulillah! We had a pre travel seminar also lined up two weeks before our trip. My parents and i found this to be very useful, extremely informative and very well organised. It was also a chance to meet the rest of the group that we would be with throughout the trip. We prayed together, ate together and there began the bonding. From the moment that we left for Palestine, we did not feel that we had anything to worry about because it was ALL TAKEN CARE OF. The flights, the accommodation, the transfers, meals, Ziyarat and the tours. Alhamdulillah. Probably the only true meaning of all-inclusive I have come across! The only thing we needed was spending money for souvenirs etc. The hotel was lovely as were the staff. The hotel owner serves you dinner every night, which is unheard of! Masha Allah the food was amazing… with supersized portions and there was something different every night. Our room was clean, the beds were comfortable and were made every day along with fresh towels. We had access to water, tea and coffee in the foyer 24 hours. It was fully air conditioned with Wifi. Every morning after prayers at Masjid Al Aqsa we had a study circle where we discussed what was to come and its relevance. We travelled every day. Some days by coach (equipped with air con and wifi again!) some days on foot. Days on foot were long but doable and we went at a steady pace. The places we visited were NEED TO DO! You’re travelling back in time some what so it’s not an experience one can afford to miss. We were privileged to be able to see, experience and pray in these places too. Alhamdulillah! There is so much more and though it wouldn’t be impossible to sum everything up I don’t want the Zaytoon tour website to crash, so I am trying to keep this reasonable. So finally…. The place is beyond beautiful & the people despite everything are amazing and welcoming. My parents and I found this to be an incredible trip. Zaytoon Tours have our heartfelt duaas and thanks for making it so. For taking care of everything, for answering our questions, for going beyond expectations. We were blessed with them and with the amazing group that we were travelling with too. The brothers and sisters, uncles and aunts that were always at hand to help given the chance. May Allah bless you all! So if you’re looking to reconnect, or to understand what Palestine really is about, or just to feel closer to Allah, this certainly is a place to visit!! I hope you have the privilege of making this journey to this blessed place as we did. Ameen. Where can one begin. From the moment stepping into Zaytoon Academy for our Pre travel seminar to the moment we got back the hospitality the attention to detail the organisation was impeccable. Mufti Adam (Bey) and Ilyas Bey both went out of their way to give the best possible service one can only dream off. Booking in advance the wait seemed long. Almost 6 months of waiting to visit the holy land watching on YouTube counting the days down. Ma sha Allah the Booking process, Cost and value is bang on the buck. Every pound is well spent and no regrets. Best money I have ever spent and the best holiday I have ever been on. From our bey through to the whole group I wouldn't change anything. Travel arrangements were top drawer and on time very punctual alhamdulilah. The food started off very nice from zaytoon academy and only got nicer and tastier as the trip progressed. Our bellies mufti saheb would always leave full. May Allah bless mufti saheb for his hospitality and character and bless his life. Our humble abode the Hashmi hotel was perfect. Ticked all the boxes no complaints. Close proximity to Masjid al Aqsa (only 5-7 minute walk). And 24/7 tea and coffee!!! Having mufti Adam as our guide & leader with his knowledge, passion, & love for Masjid al Aqsa his words pierced my heart and we're sweeter than honey. Alhamdulillah the love for Masjid al Aqsa and our service for Masjid al Aqsa was instilled into my heart. Was such an eye opener for me as I was blind to the happenings of Palestine. The choice Ziyaraat we visited and the general company of mufti saheb is next level. Knowing you can enjoy yourself and have a conversation on every level was comforting. Visiting the prophets giving salaam and tracing back history to over 10,000 years was amazing. Every corner every stone had a purpose a meaning it's just mind blowing. Going through the Quran and hadith one can picture the events and how things happened was just overwhelming. From Sahaba Radiallahu Anhu conquest to the ottoman empire one can just lose their mind to the history and wonder of and picture themselves there. Subhanallah. Words can not do justice to my experience. There are no words to describe how the trip has left me. All I can say is when I close my eyes I see you al aqsa when I open them I miss you al aqsa. May Allah take me again and again with mufti saheb and may Allah utilise me for the liberation of baytul muqdis. First of all what an experience it has been. Alhamdulillah it’s been a phenomenal journey for me and my husband. And we would like to take this opportunity to thank Mufti Sahib and the Zaytoon crew for their special help and support and making this a truly amazing experience. Jazakallahukhayran. Booking process- We all know how the booking process can be a hassle but however registering with ZAYTOON ACADEMY has been easy and simple. Mufti Saab informed us through whatsapp, providing us with the relevant information. It was broken down into step by step what details were needed and what we needed to acknowledge. Everything was done online including sending our documents and paying via online banking. So really there was no need to fill out paperwork during that point. Who needs pen and paper when we have technology these days! We were impressed with the process of booking as it was convenient and straight forward. Whatsapp messages and updates- Mufti Saab sent us daily whatsapp messages featuring key information that we needed to know relating to our travel, also facts and figures about Masjid Al Aqsa and relating issues. These detailed messages from Mufti Sahib enabled us to have a better understanding of Masjid Al Aqsa and our journey as a whole. Without these significant explanations from Mufti Sahib, it would have been a less meaningful journey. This created an increased inspiration, desire and love within us as to the Journey we were about to undertake. Cost and value- I was surprised by the cost of everything; it definitely was good value for money that included the flights, transfers, hotel, food, ziyaraat and the Coach expenses. We didn’t have to worry about paying for food on the spot as it was all inclusive. Pre travel seminar- The seminar was helpful as it covered the spiritual reasoning and why we wanted to travel, this made our intentions clear as this is very important for this trip. It also covered the practical logistics which helped us prepare for what to expect on the journey. It gave us an opportunity to meet the other members of the group which was good in advance as we all know how awkward it can be meeting strangers. MashaAllah the group contained wonderful people. Food- All the food was taken care of and provided to us at the hotel for breakfast and evening meals as well as on the tours. They had a variety of food that tasted amazing to the point where my husband kept having second rounds! The Palestine cuisine especially Maqlooba is a popular dish to try! Travel arrangements- Mufti Saab was able to organise effectively to take us to and from the airport. He made the travelling experience with great ease, reading us travelling duas and nasheeds were recited to keep us entertained. On the tours we had to use a coach to travel to certain places that was sorted out for us so no waiting around. During these tours, Mufti Sahib constantly gave us information about the places we are visiting, so no coach journey was boring! Guidance and advice- Mufti Saab is an amazing inspirational person. He would give us time to hold daily circle times, after Fajr salaah and cite to us various Qur’anic stories. It was interesting to listen to. It was beneficial as the stories were relevant to the areas of where we toured. It gave it that extra special meaning to a place. My husband took down notes which was good at least it shows he was listening for a change! Ziyaarat and Tours- The organisation of the group was on point - we visited many places in such short time with minimal difficulty. We were blessed to learn about many amazing individuals who have left their mark and legacy in history, something for us all to reflect on. Mufti Saab gave us essential words of wisdom of what changes we should make for the better and good and to make contribution to society. Each place had a significant importance behind it. I could share the list of where we went but I think we shall leave it for you to go and discover! Overall experience and recommendation- it has been a wonderful tour. I didn’t know what to expect being newly wedded couple but so much was explored and the benefits gained from this experience. The spiritual connection was stronger. The local Palestinians were friendly and helpful, felt really welcomed by them, they made us feel like it was our own place /home (and sure it is, May Allah Liberate Masjid Al Aqsa and make us part of the Liberation, Ameen). We definitely recommend everyone especially those who are reading this right now to take up on this amazing trip and to pray to Allah to liberate the people and place (Palestine) one day InshaAllah as it truly belongs to us! And may Allah grant us many more opportunities to visit Baitul Maqdis, Ameen. I first heard about this tour from a friend of mine who had been with the tour group a couple of times and he definitely recommended that i go with this group. And boy was i not disappointed. Firstly it is very easy to go through with the booking process as there are a few simple steps to follow. The cost of the trip is just under a £1000 which may seem like a lot but it is worth every penny especially who your going with and all the amazing places you visit and the mouth watering food you eat. Just before there is a month left to travel, you will get daily messages from the group leader which will contain different stories and hadith about Masjid al Aqsa and plenty of facts about Palestine which will get you excited about visiting and will make your travel more worth while. The accommodation at which we stayed which is called the Hashimi Hotel which is such a classy hotel with an amazing roof top view where you can enjoy tasty food from chef who works there. The hotel is very nice and clean and also serve breakfast which there is a variety of food and I definitely recommend the omelette! The best thing about the journey is that you will experience all the awesome and historical places which are not far away from Jerusalem. The Ziyaraat that the group leader gives are in loads of detail and you will realise how much history there is there and what has happened over thousands of years. So i definitely recommend taking a notepad to make notes as it definitely helps and you can learn from it. The overall experience for me was absolutely amazing. Everything was perfect, the food, everyone in the group was friendly, the hospitality, the ziyaraat and the travel accommodations. I would 100% definitely recommend to travel with this group if you are looking to travel to Jerusalem as you will not be disappointed and will have a trip of a lifetime. This was the first time we travelled with Zaytoon Tours just by reading the reviews on the website while looking for a good group to travel with my family of 6 which includes 4 kids Mashallah and Mufti Adam made it an outstanding experience of our lifetime with his time and effort he has put into the Al Aqsa tours Mashallah . It’s been excitement for me and my family since we have had the daily count down Wasap messages on Al Aqsa till we reached the blessed Holy city allhumdullillah . Mufti Adam doesn’t waste no time in the tour and guides us through the tour with amazing spiritual guidance and information and helps us towards the paths of Hidaya too through this amazing experience subhanallah..
we heard many negative stories before we booked this tour about Al Aqsa but just by going there for the first time I’ve had a positive eye and know it’s a safe place to visit-and being with an experience scholar who does trips regularly allhumdullillah made the negatives a positives and a MUST for all Muslims to regularly visit this blessed Holy place inshallah ..
We need to see the life’s of the Palestinian and feel what there feeling for freedom of our Muslim land . Mashallah the group of strangers became a group of family within a week helping each other and learning experience of barring patience with each other which was amazing Mashallah and always looking out for each other ..it’s like when you build special love at the time of Haj when your traveling with a group. To start with you'd be missing out on the land of barakah , a place where all the blessings in the world start from. Because of this, the lack of sleep doesn't affect you at all and you feel yourself buzzing during the depths of night and into the early hours of the morning. Each day is jam packed, full of different activities and you're always looking forward to the next! Palestine is filled with an immense amount of history, making you feel like you’re taking a walk into the past and actually living amongst the people of back then. The best part is with Zaytoon Tours, we had such a knowledgeable guide to teach us about every single thing there was to know about each place & object we came across! The price of this tour is nowhere near the amount this tour and place is actually worth and no other tour would be able to compete against this one to create a spiritual, inspirational, educational and enjoyable holiday like this one! What makes Zaytoon Tours stand out is all the little things. For example they helped you prepare for this journey months before the journey had actually started with interesting facts about the Holy Land as well as keeping you updated with travel reminders etc. They even had a pre travel seminar which I was originally a little sceptical about, thinking ice breakers seem a little awkward, but by the end of it, I’m glad they had one! When we were in Palestine, Mufti Adam held study circles in Masjid al Aqsa everyday after Fajr Salaah which would give us an insight to what we had to look forward to later that day! Personally I really miss these circles due to their informative and interactive nature! It was also an opportunity to see the kind nature of the Palestinians who would brings us things despite the hardships they’re in. They truly set an example to the rest of us with their selfless nature mashaAllah! Breakfast, lunch and dinner were all provided and drinks, there was sooo much barakah in the food it felt impossible to finish the meals!! Drinks were also provided and whenever we on ziyaarat we had a stop where we could buy ice cream and would all be given ice cold water, which was definitely a life saver! And for those who are feeling worried or anxious about how you’d get there and whether you’d be safe or not, with Zaytoon Tours all those worries disappear! Everything is made sooo easy, from the airport transfers (which would be a lot trickier on your own), accommodation- Hashimi Hotel & Hostel which is absolutely stunning with its panoramic view from the balcony and the delicious cuisine we had to look forward to everyday! And for what the media portray, whilst in hardships Palestine is not what like they describe. It’s an attempt to take over the Muslim land and we must do our part and keep Masjid al Aqsa and Palestine free from occupation by frequently visiting there and taking back what is ours! Visit Palestine and go with Zaytoon Tours! You certainly won’t regret and I promise Palestine and this trip will never leave your hearts and minds, as it certainly hasn't left mine alhamdulilah! Alhamdulilah, we have had the opportunity to fulfil our dream of a lifetime to visit the blessed land of Baytul Maqdis in August 2018. From start to finish, we thoroughly enjoyed every moment and couldn’t fault the service provided to us by Zaytoon tours. The tour was not only spiritual but educational and inspiring too. The daily whatsapp reminders helped build the excitement for what was to be one of our best trips in our life. The tour was very organised and everything was on time. The hotel was brilliant with amazing sceneries from the rooftop and the food provided on the tour was delicious with very generous portions! The morning study circles were very beneficial and we learnt a lot of new and interesting things. The study sessions really helped to give us a spiritual boost for that days ziyaarat! The ziyaarat itself was faultless, we visited many places and although the days were long we were kept engaged throughout the journey. Overall, the whole experience was awe-inspiring, unimaginable and very spiritual. Through this tour we have felt a renewed stronger connection to our deen and we hope that we get a chance to visit Masjid Al Aqsa again and again, Insha’Allah. May Allah help us be amongst the liberators of Masjid Al Aqsa! A huge Jazak’Allah to Mufti Adam for organising such a life changing trip! Our Ziyarah tour in month of August 2018 was the best guided tour I ever had. Zaytoon Tours lived up to its logo of truly educational, spiritual & inspirational tour. During tour the whole group was looked after very well catering for individual needs. I would recommend any individual who wish to visit Masjid al Aqsa, should consider to join Zaytoon Tours in Birmingham. Thank you for your excellent hospitality. It was a great pleasure going to Baytul Maqdis with great Sheikh Mufti Adam Esmail and his team from Zaytoon Tours. It was very well organised from start to finish ,Prior to departure , the seminar was held to introduce other group members, everything was explained in details. It was a very busy schedule, not a moment wasted due to well organised programme. We stayed at Hashmi hotel which is a very short walk to Al Aqsa, The daily tours to many many places of ziyaarat were well organised. Food and drinks were provided with generous portion and delicious too. Would highly recommend ZAYTOON TOURS for all who wish to travel to PALESTINE. The pre-travel seminar is a must attend as Mufti Adam mentioned many key points with regards to the purpose of our visit and what to expect when travelling. Around 2 or so months before we set off to Masjid Al Aqsa Mufti Adam started to send daily messages which were very informative and gave a better understanding of Masjid Al Aqsa. They also built on the eagerness to go to Masjid Al Aqsa. The booking process was carried out online/WhatsApp, it was very quick and easy. We travelled on coach to most places. Mufti Adam had organised everything perfectly with no delays and hassle free. The hospitality of Mufti Adam and Brother Ilyas was amazing they wouldn’t sit down to eat before they had fed us. The food always arrived on time and came to us at the perfect time. We stayed at Hashimi Hotel. It is in the old city and is walking distance from the Masjid. The Rooftop view of Qubbatul Sakhra was amazing. I always had breakfast on the roof the peace and tranquillity felt whilst looking at Masjid Al Aqsa was overwhelming. You will hear many people telling you not to go or asking why are you going its dangerous? Stay calm, Read Salatul hajat and keep busy in dhikr. Build a connection with Allah subhanahu wa taala. As you are the guest of Allah subhanahu wa taala, Allah subhanahu wa taala will look after you. It is Allah subhanahu wa taala that has given you the tawfeeq to go so no one will be able to stop you. Speechless, to go and walk and tread the same footsteps on the land of which the prophets, sahabah, Islamic predecessors walked on. It was such a spiritual journey and really builds that connection. The stories you heard as a child or during your studies really start to come to life. I don’t know where to start. To go to a place of; acceptance, repentance, blessings, virtues, a place with so much history and significance in Islam. To repent and have Masjid Al Aqsa as a witness of your repentance. To visit the land for which our predecessors fought so much for. To visit the grave yard of approximate 25 thousand sahabah. I was lost for words. I couldn’t recommend it enough. Words do not do justice. Once you arrive you will see the occupation of your brothers and sisters and it will make you shed tears. You will see the hospitality of your brothers and sisters in Palestine, just from their character you will learn so much. Masjid Al Aqsa is ours, so take this opportunity and book now. The Pre travel seminar was a great precursor and drilled home the significance of Baitul Maqdis. The cost is a bargain considering the value of knowledge and places we visited. May the Almighty Allah continue to provide you with the wisdom and courage to continue these tours boosting Iman in the Ummah. I have made personal pledges to bring me closer to Allah and it is through the spiritual nature of the tour that Allah has guided me. The group was brilliant. Some amazing characters and will definitely be in contact with quite a few. Travel arrangements were excellent. I work in project management time to time so I can only imagine how stressful it can get for you..may Allah continue to bless you with sabr. Food was delicious. The kebabs and chicken boti especially went down a treat, subhanallah. Transfers - without doubt it was exceptionally planned. Shame about traffic on some days! Accomodation was lovely. It was a truly blessed experience to see Masjid Al Aqsa first thing from the terrace. Ziyarat and tours - Without your knowledge and contacts this tour would not have been a success. May Allah bless you with more knowledge and continue giving you the courage to continue these tours. I feel closer to Allah subhana tallah through your taleem and delivery. Overall, I have loved this experience. I feel a renewed, stronger connection to my Deen. I have felt humbled by this tour and with the grace of Allah, I will definitely return to Palestine. I have already recommended people to visit these lands and passed on details of zaytoon academy. Thank you for everything. May Allah continue to shower you with wisdom and the courage to continue the fight against occupation of Baitul Maqdis. This really was the trip of a lifetime. From beginning to end the service and experience was out of this world. From the initial booking we were kept fully informed of what to do and when. The daily Whatsapp messages really set the scene and the build up of excitement. They were very informative and only a taste of things to come. The pre-travel seminar really broke the ice and addressed all our queries. From A TO Z we were prepared for the travel and also what to expect at the airport in Tel Aviv and on our visits to Holy sites. It was actually pretty good compared to going to Saudi and the HajjTerminal. Mufti Adam's leadership made us gel into a family. The Hashimi hotel is in the old city and so convenient for Al Aqsa. Beautiful clean and the staff very helpful. The food was outstanding, delicious and varied and even when we arrived very late from Ziyaarat it was always made for us fresh. Hats off to the chef. The view from the rooftop dining area of The Dome of the Rock was mesmerizing. We were truly blessed to spend hours just looking and admiring it. The daily study circle was amazing, fully interactive and inclusive and Masha Allah the depth of Mufti Sahib's knowledge and his pure love for Al Aqsa so inspirational. We are all now true lovers of Al Aqsa and we are the Al Aqsa family. In Shaa Allah we will support our brothers and sisters in Palestine and see Al Aqsa liberated. Mufti Adam made history come to life and we could actually envisage and experience the events which he narrated and their relevance to us in this day and age. The land of the Prophets, the land of Barakah it truly is a city where time stood still and the past and present meet. I really cannot praise Zaytoon Tours enough; I do not have the words to describe Mufti Adam and Brother Ilyas's passion, dedication and love. I pray for your long and healthy life and the privilege to travel with you again. May Allah always protect you and grant you Barakah and success. Value for money is an understatement. You cannot put a price on the experience and without reservation I recommend and implore you to travel with Zaytoon Academy. Alhamdulillah my wife and I had the great pleasure of travelling with Zaytoon Tours headed by respected Mufti Adam Esmail. The group was very organised and well managed throughout the entire spiritual tour. It’s not like any other tour, it’s a very educational and learning orientated experience with lectures and guided tours by Mufti Adam himself. Prior to travelling Mufti Adam arranged a pre travel seminar at Zaytoon Academy for all those travelling to give vital information about the travel and spiritual guidance. At the seminar we were also given advice on how to make the most of the journey. In addition to the above 40 days prior to travelling Mufti Sahib sent out daily text messages with virtues, history and benefits of Al-Aqsa as well as travel advice and tips. These text messages were very popular and inspirational. The process to book was very straightforward and was all done online and then updates received via whatsapp thereafter. The journey was also very cost effective considering that the entire tour is guided with breakfast, lunch and dinner included! The food was delicious and very filling throughout! Mufti Adam and his team would ensure that prior arrangements were made to ensure that lunch is arranged wherever we would be travelling that day. All travel was well planned with quality coaches being used. We stayed at the Hashmi Hotel in the Old City of Jerusalem which was a short walk to Al-Aqsa Masjid. The staff were friendly, helpful and accommodating providing food even when returning late from Ziyaraats! All Ziyaraats were well planned out to ensure we made the most of each day, however more so than the Ziyaraats themselves was the information provided about them on route and whilst there by Mufti Adam! We visited resting places of Prophets, Sahaba’s and memorial sites as well as many other places of great significance. Alhamdulillah in our 7 days we saw and experienced a lot! This tour was more than just sightseeing but focused particularly on improving ourselves through daily readings, showing our gratitude to Allah and appreciating Allah’s blessings. I would highly recommend travelling with Zaytoon Tours for all the family! Alhamdulillah we were blessed to travel to Masjid Al Aqsa with Mufti Adam. My second trip to Al Aqsa with Zaytoon Tours Alhamdulillah. Booking process was very easy. All travel info was sent via whatsapp messages. We were also sent regular messages with lots of information about Masjid Al Aqsa and the blessed land which was a great help. The study circles after Fajr salaah were very informative. Alhamdulillah it was a memorable experience, my family thoroughly enjoyed the trip. The history in Palestine brings the stories of the Prophets to life. We did a lot of Ziyaarah and were very happy to meet the locals. Our group was amazing Alhamdulillah.. Everyone from children to elderly, all were very happy to be there and thoroughly enjoyed. JazakAllahu khayran to Mufti Saab and Muhammad Ilyas for all the arrangements much appreciated...Alhamdulillah. It was our first trip to masjid ul aqsa. A very very spiritual, educational and enlightening experience. I highly recommend Zaytoon Tours. We were taken care of from the beginning till the end and they delivered what they promised, infact they exceeded our expectations in this respect. If you intend to travel to Palestine let Zaytoon Tours be your first choice. They won’t let you down. Overall whole trip was very well tailored and I loved every minute of it. Food, transportations, logistics were exceptional. Study circle after fajar Salah were very well planned to get everyone excited for a day ahead. Accommodation was great and room was very clean. Trip is well worth the money. May Allah bless & reward you and increase your passion and love for this great cause you have for Masjid Al Aqsa. We didnt have enough hours in a day to visit all the places. Alhamdulillah I would recommend Zaytoon Tours with Mufti Adam to all my family and friends as he extensive knowledge MashaAllah. The experience was very educational and packed with guided tours throughout the week. The hotel is in the Old City, so very near Masjid AlAqsa. You can see the Dome of the Rock from the hotel. The food was very nice and this is all inclusive three meals a day. Alhamdulilah this was the second time that my wife and I were travelling with Zaytoon on the Masjid Al Aqsa tour. We feel truly blessed to have gone back so soon to this amazing country Alhamdulilah. This time my brother in law and his two children (ages 10 and 13) went on this journey with us, following our recommendations of this fantastic tour mashaAllah. Words cannot express the amazing experience we had and are missing the blessed lands so dearly. The booking process was very straightforward and we were informed of what to expect in the forthcoming months. 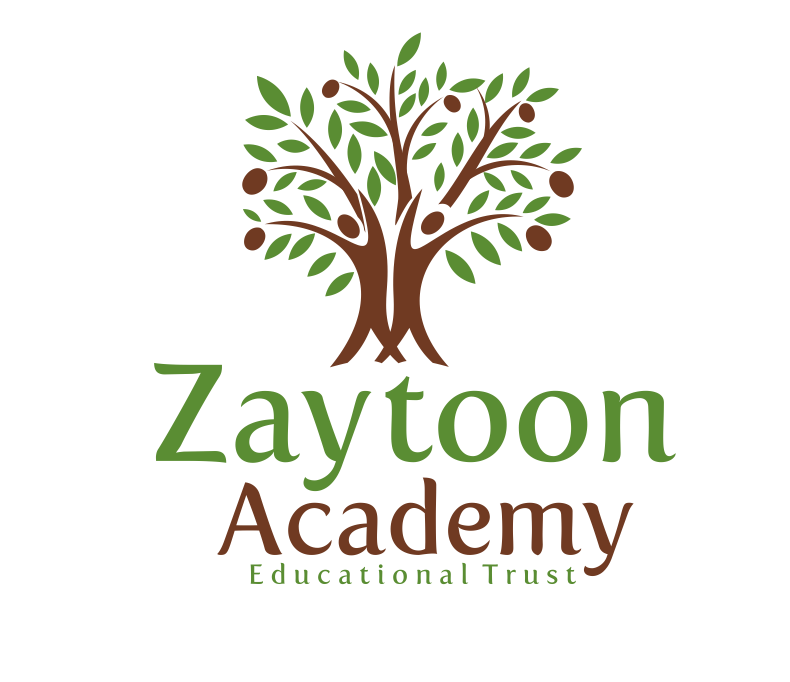 Zaytoon Academy were so organised and professional right from the start that it helped put our minds at so much ease, Alhamdulilah. Best of all was the background information and history about Masjid Al Aqsa that was sent to us via WhatsApp nearly every day, about a month and a half before we travelled out. This really helped us all to learn in detail about this very blessed land, the importance of visiting it and how to prepare for this spiritual journey. The seminar that was held two weeks prior to our flight was very beneficial. This had allowed us to meet and greet with the group and mufti Adam Esmail gave us important information regarding what to expect and how to spiritually start preparing ourselves. If anyone has any doubts or concerns in regards to travelling to Palestine, I can assure you that there is nothing to worry about. We both now feel confident and safe to travel there Alhamdulilah. We have to remember that this blessed country belongs to all of us and that we must frequently visit it or at least have the intention to in sha Allah. We got so much out of this experience and so happy that we got to see and pray inside Masjid Al Aqsa again aswell as going to the ziyarats. This spiritual journey was once again full of mixed emotions, overjoyed to be there and gaining the blessings but also sad when learning about the daily struggles and restrictions of our Palestinian brothers and sisters under the occupation. We had always prayed for the people of Palestine but never did we think that we would ever visit this holy land. Subhan Allah. We would like to say jazakAllahu khayran to Mufti Adam Esmail and his wife Fatima and to the team at Zaytoon Academy. We would truly recommend them to everyone and we also hope to travel with them again soon in sha Allah. 1) Extremely organised from day one. 2) Everything that was promised was carried out. You can tell that the organisers are very experienced and know what they're doing. 3) They took individual needs into consideration e.g. vegetarian diet. 4) The organisers were always calm and cool and ready to meet our needs. I must say they are true leaders as they always made sure everyone had everything they needed and then thought about themselves. I could see them practise the saying سيد القوم خادمهم (The leader of a nation is their servant). 5) Everything was always done in a very systematic and thought out manner. The tours themselves were extremely extensive and informative. Mufti Adam not only has a wealth of knowledge but he has been blessed with a very articulate tongue and the ability to communicate what he knows in a clear and coherent manner, meaning that regardless of how much you have studied, you can always understand and appreciate what he is saying. Moreover, every morning before the tours Mufti Adam would give us a summary of the places we'd be visiting as well as some background information. 6) He is a really good teacher as he'd constantly ensure we're all taking in the information by asking us questions, giving us small pieces of homework to do and holding regular study circles in masjidul Aqsa. Moreover, he made every person feel involved from adults right down to children. 7) I loved the constant emphasis on spirituality as it really helped to boost my imaan as well as my family's imaan. 8) I also like the fact that this tour has been organised for a group as I got the chance to meet new people and share my experience with them. However, personally I prefer smaller groups as you can do more things because you have to wait around for less people. 9) Sister Fatima (Mufti Adam's wife) would constantly ask us if everything was okay despite having a 10 month baby to look after. 10) About 2 months before the trip Mufti Adam started sending out regular messages with bite size information about Masjidul Aqsa and Palestine. This made me look forward to the trip even more and helped me to learn more about the destination. I thought this was a really good idea as when I went on the trip I had already gained a considerable amount of information about Palestine just by reading Mufti Adam's whatsapp messages. 11) They also organised a pre-travel seminar which gave us the opportunity to meet our group and also note down key information for the trip. The staff were very welcoming and the food was very tasty. 12) The location of the hotel was perfect, it only took about five minutes to walk to the masjid. It also offered a beautiful view of the dome of the rock from the roof top. The stay was comfortable and the food was very tasty. I particularly enjoyed eating dinner together on the rooftop. 13) I liked the fact that we'd travel after zuhr until late evening as the weather wasn't as hot then. Although dinner could've been served a little earlier when we got back. 14) In terms of the diet, it was very meat and chicken heavy, so if you're not used to eating a lot of meat then I'd suggest you ask for a vegetarian option before hand which they do provide Alhamdulillah. 15) Given the conflict surrounding Masjidul Aqsa and Palestine in general, Mufti Adam was always very reassuring and told us that there is nothing to worry about. This definitely proved to be true as Alhamdulillah we didn't face any issues during our entire stay in Palestine. May Allah preserve Mufti Adam and help him to serve the deen for as long as he lives. May Allah bless his wife who played a vital role on the trip. May Allah also bless all those who helped make this trip possible and enable Zaytoon Academy Tours to become bigger and better. Aameen. Lastly, I can say without a doubt that I wouldn't think twice before going on tour with Zaytoon Academy Tours again! What can I say? Zaytoon Tours are an extremely professional, well organized outfit rivalling, in my opinion, the likes of Thomas Cook!! From the offset, Mufti Adam was always accessible, extremely passionate and knowledgeable about this spiritual journey of a lifetime. The booking process was very easy, coupled with a pre journey seminar and presentations and even a lovely meal where we got a chance to meet and get to know our travel group! Ziyarats covered were plentiful and coupled with detailed explanations from Mufti Saab, compared to other groups I met; we covered lots of ground, taking in both Christian and Jewish sites and of course our own glorious Islamic history. Mufti Saab constantly brought the Quran to life during the tour whilst also giving daily advice and plan of action for the day in our fajr halaqaas. The accommodation was comfortable, convenient, and the Palestinian cuisine was scrumptious! Improving our Spirituality was a constant theme which Mufti Saab emphasized constantly throughout the tour and the entire group felt spiritually recharged on our return. I can't recommend this tour with Zaytoon enough. Having ulema as the group leader and serving the group was very humbling and I pray Allah preserves this effort towards the liberation of Palestine. Firstly I would like to say Alhamdulillah for the blessing of being able to visit Bait Al Maqdis and Masjid Al Aqsa. I was part of Zaytoon Tours' August 2017 group lead by Mufti Adam Esmail and travelled with my mother. Being the first members of our extended family and friends to even contemplate visiting Masjid Al Aqsa we faced the expected questions of why we wanted to travel and similar negative comments. We did not let any of those questions / comments faze us and now in hindsight we are extremely glad we didn't Alhamdulillah. The thing to remember (as mentioned by Mufti Adam Esmail) is that these questions and comments are made by people who have never visited Bait Ul Maqdis so they naturally rely on what they have seen or heard via the mainstream media. My main message to all those who are thinking of going is to focus on the reason why you are thinking of going i.e. firstly to please Allah (subhana hu watala) and secondly that Mufti saab and Zaytoon Tours are extremely experienced & professional in the way they organise the tour. Booking process - Straight off the bat, Mufti saab communicated with us via whatsapp sending informative messages not only to confirm how the tour would proceed but also the spiritual preparation we should undertake before the trip. Everything was done online, including sending our bio data page via whatsapp and paying via online banking. This I found absolutely unique and I was thoroughly impressed by the professional attitude along with the smooth effortless process undertaken. Pre travel seminar - This was held a few weeks before we flew and comprehensively covered the spiritual reasoning why we wanted to travel along with the practical logistics. This seminar also allowed members of the group to meet each other as Mufti saab. Cost and Value - The final price we paid included coach rides to/from Luton Airport from Birmingham along with flights, transfers, hotel and food as well as all ziyarat. My mother and I do feel we got extremely good value for the money we paid and would definitely be happy to pay the same amount again. Accommodation - We were based at the Hashimi hotel which is located in the muslim quarter of the old city in Jerusalem. This hotel boasts a rooftop view of the city skyline include unhindered and unparalleled views of the Masjid Al Aqsa compound, including the famous dome of the rock. A magnificent scene to look at while to eat your dinner every night. The rooms in the hotel are adequate for this type of trip with single beds, ensuite consisting of a walk in shower, toilet and sink. The rooms were cleaned every day whilst we were out on ziyarat and breakfast was served in the basement area every morning. Water and tea / coffee was available 24 hours a day in the reception along with wifi connections in rooms and on the roof. Ziyarat, Guidance and Advice - Every morning after Fajr, we gathered at the Masjid for talks with Mufti Adam Esmail for a talk reviewing what we had learnt the day before as well as prepping us for the day that lay ahead. I was very impressed by his collaborative style of giving talks as he actively encouraged group members to participate contributing their knowledge and views especially when it came to stories of the Ambiyah (As salaatu wa salaam). This all helped to inform the group of the back story behind the places we were about to visit during the day and built up our anticipation as well as our appreciation of the islamic significance of where we were. Food - All food was provided during the whole tour apart from food during flights. The food provided was naturally mostly of the Palestinian variety however the chef did do his utmost to try to provide some asian dishes such as biryani, tandoori chicken etc... In regards to this aspect of the tour, we were thoroughly satisfied and loved everything we were provided. Overall we cannot recommend Zaytoon Tours enough and especially Mufti Adam Esmail as well as brother Ilyas who endeavoured to ensure this trip was thoroughly spiritual, informative, eye opening and totally memorable. I cannot recommend Zaytoon Tours enough to anyone and have encouraged all my friends and members of my community to join future tours. InshaAllah my mother and I are determined to visit Bait ul Maqdis and Al Aqsa again with Zaytoon Tours with other members of our family. A big thank you to everyone at Zaytoon. May Allah reward your efforts and allow more of the Muslim community to enjoy the blessings of Masjid Al Aqsa with yourselves. I have been yearning to travel to Palestine for several years and by the grace of Almighty Allah, my family and I (wife and two children, 13 & 8) made the trip with Mufti Adam Esmail and Zaytoon Tours in August this year. Alhumdhulillah, what an amazing week we have just experienced visiting Baytul Maqdis. From start to finish I knew we were in good hands. I was constantly re-assured that we didn’t have to worry about anything, everything will be taken care off A to Z; how true that was. The whole trip from booking online to returning back to Birmingham was totally stress free. Mufti Adam and Zaytoon Tours are extremely organised, thorough and professional. They made our trip enjoyable and truly memorable. With the help of regular updates via WhatsApp broadcasts Mufti Saheb prepared us all spiritually and mentally. It was incredible; I was blown away by the sheer scale and depth of Islamic history and the immense knowledge of Mufti Adam, he is like a walking talking encyclopedia, extremely informative and an absolutely fantastic tour guide. He was always approachable with a delightful demeanour. The ziyaraat were remarkable, all through our travels we were reminded of the importance and significance of each, through verses of the Qur'an, names of Prophets or ahadith. This is when the Qur’an came to life. The whole trip was such a wonderful experience, I have no complaints or criticism to make; everything was as I expected, from the travel arrangements, hotel and food to the ziyaraat. We learnt so much in such a short space of time, I just wish we could have stayed longer. I will definitely go back to Baytul Maqdis, there is so much more still to discover and learn. I would like to take this opportunity to sincerely thank Mufti Saheb and his team for the meticulous planning, time and effort that went into arranging such a flawless journey. I cannot recommend Mufti Adam Esmail and Zaytoon Tours enough, and I wouldn't hesitate to travel with him again. History literally came alive with this guided tour. All my bedtime stories that my papa had told me about and the most fascinating one to me was always the story of Moses AS. Then to be stood in front of his resting place I felt in awe of such a mighty presence. This happened time and time again with Mufti Adam taking us through such an awesome country and his narrative which felt like being told the most informative and incredible story which he stopped and started at different points of the tour. It flowed very well. Both Mufti Adam and his wife were incredible hosts all were always attentive to our needs. I would not hesitate in recommending this tour to others as my whole family thoroughly enjoyed themselves. I am definitely going again! Would definitely recommend to everyone! Initially we were apprehensive about visiting Palestinel due to the status shown on the media, however, Mufti Adam was very reassuring and kept us informed the whole time, so the journey was made very comfortably and stress-free. Everyone was friendly and helpful. Everything was well planned and organised. We were well looked after. The food was very tasty. The chef knew we had an Asian diet so this was catered for by adding enough spices. I would definitely go on tour with them again. Alhamdolillah the tour was very beneficial, both spiritually and physically and I do feel I have developed a much greater awareness of the Palestinian situation and would definitly like to do more to help the cause insha allah. We read and hear about Palestine all the time but until you visit the place and speak to the people, see their daily struggles and the occupation they live under, you have no real idea as to what the situation is really like. The whatsapp messages broadcast before the trip are an excellent idea-they give you a brief insight into the history of the place etc and the advice and darud/ zikr prescribed prepare and motivate you spiritually and mentally for the trip, masha Allah. The cost of the tour is superb value for what is included in the price-food, tours, hotel etc. The group was a mixed one and alhamdolillah we had some lovely brothers and sisters on the group, with all the group friendly and helpful in assisting others when required. The travel arrangements were very good alhamdolillah. The hotel location is superb and it has some very good features-the breakfast selection is good as is the constant supply of drinks in the foyer and the open terrace on the top floor. The study circles, the advice, the hadiths and the stories were all in depth and masha Allah very beneficial. They were instrumental in uderstanding the history of the place and without them, the full comprehension, love and enjoyment of the visit would be lost. Your advice with regards to making changes in our lives and making darud and zikr an integral part of our lives is one of the most significant parts of this journey and a keystone to making our lives and those of others better insha Allah. Overall the experience was a positive one and I have already recommended this tour to others and will insha Allah continue to do so-it really has been a wonderful spiritual journey and insha Allah continues to be a life changing event for many many others. Alhamdulillah, me and my son travelled with the April 2017 tour group. This spiritual journey was a dream comes true. For so long I had been struggling to find an ideal tour group but with Allah's blessings I found Zaytoon tours. The booking process was simple and quick as it was all done online. Zaytoon Tours was extremely well organized and was very helpful and quick when addressing any questions and issues I had. Their efficiency was well beyond my expectations. In addition to this, a pre travel seminar was organised by Mufti Adam where we were provided with a great deal of information regarding the travel which made me look forward to the trip more as I was assured that we were going to be looked after well. Further adding to the excitement, Mufti Saab would send regular whatsapp messages and updates regarding the historical and spiritual aspects of the blessed land. The cost and value of this tour was worth it as everything was taken care of such as accommodation, transfers and food at the Hashmi Hotel which was amazing! The ziyaraat and tours were fantastic, not only did we visit sites but also were provided with a great deal of knowledge from Mufti Adam. I would highly recommend Zaytoon Tours for anyone looking for not only just a regular tour, but a highly educational, productive and life changing experience. This was my fourth time travelling with Zaytoon Tours. Three times a single man; first time a married man! I say this because Zaytoon Tours catered and continues to cater for the needs of single, couples and families alike; a very well organised spiritual tour, like all previous ones I have attended! MashaAllah. This was our first time travelling to Masjid Al Aqsa and InshaAllah there will be many more visits to come! We honestly do not know where to start. It was a historical timeline about the prophets lives, one that we will never forget! The booking process was clear and simple. 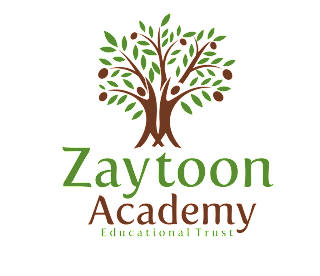 From the moment we registered on the Zaytoon Academy website, we were clearly informed about the payment and travel procedures. The pre-travel seminar took place two weeks prior to our journey to help us prepare for the spiritual tour. Beforehand, Mufti Sahib sent out regular messages in order to teach, remind and inspire us about the upcoming journey. We had a chance to meet the group who became our family for the week and everything was clearly informed and set out (not forgetting to mention the delicious delicacies provided). Arrangements were clear and easy. Mufti Sahib organised transport to the airport for those who required it and everything was a smooth process. In addition to this, Mufti Sahib taught us the travelling du’a and collectively as a group we would implement this. This has helped us as we are able to practice this in our very own travels. Group block booking enabled all members to sit with family and friends whilst on the plane. Only one word comes to mind for this: family! Everyone looked out for each other and support was given to the youngsters and to the elderly. Even now as we write this testimonial, we can remember the joys of our group members. Alhamdulillah we stayed in the famous Hashimi Hotel within the old city of Jerusalem. This hotel is situated no less than five to ten minutes away from the vicinity of Masjid Al Aqsa. The hospitality, service and food was fantastic. The view from the rooftop was serene. There’s a special chef who is able to meet the needs of your tantalising taste buds. Mufti Sahib would hold daily study circles after Fajr Salah and share various Qur’anic stories. We felt inspired and well connected to the Qur’an. We felt these stories come to life, especially when we were standing in the area of these actual events. There were many places to visit, seven days were not enough. With the assistance of the local guide we visited many such places. We were able to learn and reflect upon the lives and incidents of great individuals who made their mark in history. Mufti Sahib with his unique eloquence kept reminding us of what contribution would we make to society and what changes would we bring about for the greater good. For us, a lot of misconceptions were addressed; particularly about the land and its’ history. Overall this has been a wonderful tour. Much was learnt and much inspiration has been derived. We cannot express our gratitude to Zaytoon Tours enough. We really miss the locals of Palestine, such hospitality was given to us and now we feel like we’ve left behind our home. We strongly urge you humble readers to make intention and consider visiting Masjid Al Aqsa as it is calling us. For us, we learnt a lot. Qur’anic stories came to life and we want you to share this spiritual experience by registering yourselves! The whole Al-Aqsa trip with Zaytoon Tours was a very memorable, enjoyable and spiritual experience. I travelled with my 3 children who are all under 16 and they thoroughly enjoyed it. We had an amazing group, which was a mixture of families, single adults, children and elders. Everyone participated in helping each other. Zaytoon Tours arranged a pre-travel seminar where all the people travelling in the group could meet and plans for the journey were discussed, it was also an opportunity to raise any queries/questions anyone may have had. Although I was unable to attend this seminar, I think it was good opportunity for all the people to meet and to get to know their travel companions. I had previously attended one of their Al-Aqsa seminars which I found very informative and beneficial. Good visual resources were used and the Al-Aqsa book provided was very useful. We also received regular updates about the journey, virtues and significance of the place prior to travel. The cost of the whole tour was competitive as it included flight, travel, food and ziyaraat expenses. All the services were great and we had a very friendly local Palestinian guide too. Accommodation was pleasant and the hotel staff made us feel very comfortable and would be ready to help us out when needed. Our room service was friendly and the rooms were cleaned daily. Breakfast and supper was served at the hotel which was made to the best of standards and to suit our traditions! Ziyaraat were amazing, we were kept well informed at all times about the virtues and significance of all the places. The early morning after Fajar study circle was very informative. Every day we would visit different places and whichever prophet had connections to these places would be discussed in these circles; children would also be kept engaged through questioning. All through our travels and in the study circles we would constantly be reminded of the verses of the Qur’an, hence it felt like we were living and truly understanding the Qur’an. Overall experience was amazing and would definitely recommend to others and would look out for occasions to travel with Zaytoon Tours again. Alhamdulillah I was blessed to travel to Masjid al Aqsa in 2014 and again in April 2017 with Mufti Adam of Zaytoon Academy. The experience was unbelievable and Mufti Saabs knowledge brings all the Qur'anic stories to life. The group was again very well organised and we had an amazing journey. From the day you book to the day you get home, Mufti Adam keeps in touch with travel info and lots of historical and Islamic info about Masjid al Aqsa and the blessed lands. The hotel is very close to Masjid al Aqsa and the food and the staff were amazing. The people of Palestine are really loving and welcoming! They are full of smiles even though they have to endure a lot of hardship. The tour guide is local and having him with us was priceless. We did a lot of ziyarats but also had fun enjoying the cable cars in Jericho as well as wading through the water in Silwan. I feel truly blessed to have been given the opportunity to travel to Masjid al Aqsa by Almighty Allah and I would like to thank Mufti Saab from the bottom of my heart for the time and effort he puts in arranging such a super tour. If you get a chance I would advise u to travel with Zaytoon Tours… it really was a truly memorable experience which I will never forget. This is the fourth time I have used Zaytoon Tours! That should say enough about how I feel about value for money and the high level of services provided before and during the tours. This was the second time I went to Al Aqsa with Zaytoon and there were seven in my family. The youngest being only 6 years old. Your messages leading up to the tours have been very valuable to get us in the right frame of mind. During the tours your talks allowed us to gain the necessary context before making physical visits to significant sites. Others in the masjid who weren't part of the group also joined in to listen to the talks as they were so interesting. This tour as with all the others has been a spiritual experience. One of the positive points worth noting was that you were able to help the group gel and get on with each other and look after each other, which made it easier for my family especially as there were young children with us. I have been on tours with other groups in the past and when you look back at airports, the leader was nowhere to be seen. Not in your case, you hung around to ensure maximum support was available throughout check in and immigration control. You were visible and approachable throughout the tour. Your daily tours in Palestine were extensive. The energy and enthusiasm created by your talks helped us keep going. Your down to earth outlook and humour also went a long way. I'm glad we covered as much as we did. Without any difficulty, you were able to ensure that the dietary needs of a vegetarian member of my family were catered for. Overall no expense spared, excellent value for money, no corners cut, no unhappy comments in the group. I look forward to travel with Zaytoon Tours again in the near future. I would recommend everyone to go with Zaytoon. I would like to thank you for a fantastic tour to Masjid ul Aqsa. The trip was a great experience and I really enjoyed every minute of it with the whole group. I would highly recommend it to whoever would like to visit this fantastic place. The food, accommodation, service and everything that was provided to us was just amazing! Once more I would like to give a big thank you to Mufti Saab. May Allah (swt) reward you for all your hard work. I travelled with Zaytoon Tours to Palestine, I found the whole experience wouldn't have been the same had I went with somebody else. Mufti Adam was not just a mere tour guide but rather his prodigious arrangements for our comfort were astounding. I would highly recommend anyone who is thinking of travelling to Palestine, must without a shred of doubt travel with Zaytoon Academy. Travelling with Zaytoon will enable you not just to gain spiritual, inspirational experience but also you will come back educated. Outstanding service, informative & very well organised throughout the trip. The tour is well organised and took care of us throughout the Journey including transportation to-from airport, hotel and places of ziyaraat. All our meals were also taken care of and we did not have to spend a penny on food. the days of travel via whats app messages. Throughout our stay in Jerusalem we had study circle after Fajr Salah informing us of the significance of the places that we would be taken to for that day, and believe us we visited a lot of places for ziyaraat! You definitely need a book and pen to note them all down. The hotel we stayed was in the old city and therefore within easy walking distance to the Al Aqsa mosque. The Palestinian food was absolutely wonderful and the people even more welcoming. A lot of beneficial, religious knowledge is gained on this journey with Zaytoon Academy, definitely value for money. We intend to travel with them again and highly recommend it to others if you wish to experience a journey of a life time! Alhamdulliah my husband and I were privileged enough to visit Jerusalem during the February half term. This was an impulse trip that turned out to be one of our best visited destinations ever. This was made into an even more unique and an extraordinary encounter because of the arrangements made by Mufti Adam from Zaytoon Academy. He is extremely knowledgeable and more importantly, he really knows how to read his audience. We never felt we were just getting the 'rote' memorised speech. He unveiled the land of Jerusalem in ways we could not have possibly imagined. Two weeks before the actual trip, a pre travel seminar is held, which was extremely helpful, especially in getting to know our fellow travel companions. All doubts and fears were quickly banished. Its easy to get excited about the upcoming trip and forget to tackle the necessities, but of course with Zaytoon Academy there is such calm and efficiency that everything was taken care of. We had regular updates via wattsapp about information relating to the actual travel and the importance behind our visit to Jerusalem. This was of great benefit, as we got to know some of this history behind Al Aqsa even before we got there. As for the booking behind this mesmerising trip, the whole thing was fortunately taken care of by Zaytoon Academy. This included the transfers to and from the hotel. The view from the roof top terrace was amazingly breathtaking and very impressive. It also offered the view of the Dome of the rock. The guidance and advice we received throughout the whole trip was very beneficial and valuable. The tour was packed with great historical sights. It probably had more history than any square mile in the world. Mufti Adams stories and knowledge imbue the sights and sounds of the place with real depth and understanding. He was not only able to provide historical context, but also rich insight to all of the Biblical sights we went to, backed up from Quran and Hadith and made each site come alive. At the end of our trip, we left Jerusalem guided by someone who genuinely loved the place with a genuineness the likes of which is not often seen amidst other tours, which shines through in every talk he gives. Many thanks for a super trip and to opening our eyes to things we would not have seen on our own. I’ve travelled with this tour group many times and I wouldn’t change this for any other group regardless of whether it is half the price or lower. Every tour that Zaytoon carries out you know it’s done whole heartedly for the right intentions. Mufti Adam is very knowledgeable and is actually bare jokes and this money can’t buy. If he could do the tours for free he would do so but we know it’s not possible but that’s calm still. A bit like Wayne Rooney for Manchester united! You also get loads of updates regarding travel, pre travel seminar, and little goodies such as a shoe bag, suitcase tags and tasbeeh counter which is nice of the mufti. Moving onto the tour itself, Palestine is an amazing place, so much misconceptions and perfectly safe to travel. A place like no other in the world, so much history that is untouched, you will have to go yourself to experience and not forgetting so much beauty in many shapes and forms!!! Forget your 5* Dubai, Miami and Ibiza’s, if you want an unforgettable experience then look no further. Book up now but I think spaces might be full for this year…yes it’s that good and its getting even more popular. May god accept the efforts of everyone at Zaytoon Tours and free Palestine from the occupation. Alhamdulillah what an eye opener! A much loved once in a lifetime experience with our family. We dared make the decision to go to a land where there's ongoing conflict. A real eye opener for all 7 of us, including my parents and 2 children aged 13 and 8. Mufti Adam is a well learned and experienced individual who never ceases to amaze with his knowledge of the deen and of all the places visited. What you see is exactly what you get and much more with this dream come true package. From the moment we registered as a family, we all received regular updates by Mufti Adam either regarding travel information or historical knowledge on Baitul Maqdis. The pre travel seminar two weeks prior to travelling was very well organised along with everything else and very informative. Meeting the other members of the group was also very useful. He's excellent at putting any worries to rest Alhamdulillah. A very approachable yet professional individual who has helped us all to increase in knowledge and better understanding of the Holy Land on this spiritual tour. He always put us first and ensured our needs were fully met. A great example to follow. May Allah reward all his and his team's efforts. Ameen. A worthwhile and exciting trip for the whole family. Looking forward to booking our next visit with him again InshaAllah. We highly recommend this tour to anyone searching to increase their knowledge of the deen and meet such wonderful pious people. Jazakallahukhayrun. Words can not describe the impact this spiritual tour has had. If you are remotely thinking about it, then stop thinking and please book the trip now! Al Aqsa and its people need you and your support. It needs the muslim footfall, so please book it today! You needn’t worry about anything when booking with Zaytoon academy. Everything is arranged for you, with pre travel updates on everything from spiritual information through to travel arrangements. A pre travel seminar provides the opportunity to meet others travelling in the group, as well as ask questions, but even before the seminar, you receive regular little snippets of spiritual and travel information. The tour exceeds its value for money, with everything being taken care of, from transfers, food, hotel, ziyarats. The hotel is within the ramparts, and is a 5-10minute walk to the masjid depending on your walking speed. The hotel is basic, clean and friendly, the food is fantastic. Don’t expect 5 star – remember you are travelling to a place which is not developed like Mecca or Medina. The staff at the hotel work really hard to provide a really good service, so please appreciate it. This tour is no ordinary tour, as you will learn so much. Mufti Adam is a scholar who is passionate about Baitul Maqdis and is an excellent teacher. He has a way of imparting his passion for Baitul maqdis upon you. We are deeply grateful to Mufti Adam and his companion Mohammed Ilyas for all their hardwork and efforts in arranging this tour and inspiring us to become better muslims. May Allah swt reward them both, and provide them with the means to continue providing this experience for many more travellers. I hope by the grace of the Almighty Allah swt, that by reading the reviews you will be inspired to travel to Baitul Maqdis, Insha’Allah. Alhumdulillah the whole trip from way before we left till the day we came back was absolutely brilliant and an experience that each soul needs to feel first hand. The whole ziyaraat was so good and so much knowledge gained during the trip and cant wait to go again inshallah. The food was great and the hotel was superb! Hats off to all the people behind the scenes to make the week such a success. Assalamualaikum brothers & sisters please do not hesitate or abandon your desire to make your journey to the blessed land of Bayt al-Muqaddas. This truly is an amazing placeSubhan'Allah and was made truly a memorable experience because of the arrangements made by Mufti Adam and Zaytoon Academy. May Allah reward Mufti Adam in abundance for providing us with this opportunity and the rich wealth of knowledge he has passed on to us all. Words cannot reflect or capture the great experience you will inherit. We are blessed by Allah to have wealth, health, freedom and the ability to travel and visit many places for a holiday. Visiting Masjid Al Aqsa, I can assure you will be your most memorable venture and a life changing experience. The pre travel seminar is a great way to meet other members of the group and benefit from the key significant factors as to why we should visit this special place. From your initial booking Mufti Adam communicates with the group to ensure vital information / updates are given to all. This was very helpful and enabled me to learn so much about Masjid Al Aqsa, before I had even stepped foot in the blessed land. I would like to really emphasise and highlight to all brothers and sisters the booking is stress-free and the cost of the whole tour is beyond value for money. I personally feel for what I benefitted and experienced I paid far too less. The value in what you pay goes very far. All the meals/ snacks/ drinks were delicious and beautiful. The Hashimi hotel terrace view of Masjid Al Aqsa is priceless. The hotel works exceptionally hard to provide a comfortable stay for all guests The cleaners work around the clock and face hardship and struggles just to get to work every day, please bare this in mind when you go. I remember my first view of Bayt al-Muqaddasleft me speechless. Alhamdulillah traveling in a group has many great benefits, you get to meet fellow brothers and sisters and you find through your experience you build strong bonds and feel a great sense of unity. Everyone is willing to help one another and this is truly inspiring. Mufti Adam Alhamdulillah made all the travel/ food / accommodation arrangements on our behalf and everything went above and beyond our expectations and needs. The guidance and advice given throughout the experience is so beneficial and it has supported me to try and be a better person and a better Muslim insha'Allah. The whole experience humbles you and teaches you sabr and is a real eye opener. The Palestinian people are going through extreme hardship and it is something you observe and it teaches you freedom has a price in some parts of the world. Masjid Al Aqsa is under severe occupation and needs the presence of all Muslims, young, old, children etc as it is a scared place for us all. We should all strive to give freedom to our brothers and sisters in Palestine and end the occupation of Masjid Al Aqsa insha'Allah. Before attending I had very little knowledge but through Zaytoon Academy and Mufti Adam Alhamdulillah, I have learnt so much and I wish others to benefit from this too. The ziyaraat was delivered with rich knowledge and passion by Mufti Adam and the tours gave us all the opportunity to view things we never envisaged. I urge you all if you have the means to make the intention to travel with Zaytoon Academy to visit Masjid Al Aqsa whilst there is an opportunity. Jazakallahukhayran for reading my review and I pray Allah makes it a possibility for you all. Not once did I have any fears for my safety or the safety of the group. The slight inconveniences you experience will not outweigh the great experience you will have insha'Allah. There is nothing or no one to fear but Allah. Truly speaking really lost for words. By me giving a feedback will not to any justice. A person has to travel to this blessed land to actually feel and gain a true life experience. I want to treasure these precious and priceless moments. In sha Allah for me I want to make positive life time changes. This has been the most ironic journey for me giving me a true eye opener. MashAllah I have gained so much islamic knowledge through this tour. Amazing explanation with Quranic meanings. Every story told by Mufti Adam felt inspirational. I would like to share with you the experience with zytoon tours was amazing. Can't fault it. Mufti Adam took care of all travel arrangements from transfers to hotel and mouth watering food. Felt really stress free. Nothing to worry about. Only worries was how do I please Allah Subanwatala. Pre travel seminar was an ice breaker being familiar with the group prior to travelling really helped us have a better bonding with the group. Allhumdulliah. Jazakallhukayran to my wonderful amazing parents who I am indebtted to for convincing to go with them because they wanted company. I truly did go to help look after my parents. Not knowing all the benefits I have achieved from this breathtaking spiritual inspiring journey. I pray Allah gives me the means to go with my family again so I can re-live this precious moments once again. Me, my husband along with my 2 children,(aged 6 and 3) and my mother travelled to the blessed land with Zaytoon Tours. Two weeks before we travelled we had a pre travel seminar where we got to meet the rest of the group who we were traveling with and we got to ask any questions/queries we had about the trip. The seminar was well planned and organised very well. We received regular updates and facts about Baitul Maqdis and pre travel information. We needn't worry about a thing as everything was taken care of from flights, transfers, accommodation, food and Ziyaraats. From the moment we decided to go with Zaytoon tours, it was very easy to get informations from Mufti Adam himself regarding the holy land as I was in two minds on taking my young children to a land where there is a lot of conflict, according to the media. However, the pre travel seminar, his assurance that everything is safe and Almighty Allah made everything easy for us Alhamdulillah. Whilst we were there I never feared the safety of my well being or for the rest of my family. My children enjoyed their trip and saw it as an adventure! We all benefitted educationaly and spiritually from this trip. The Palestinian people are friendly, kind hearted and generous! Everything that was provided by Mufti Adam and his team was to an excellent standard and he always kept us well informed with daily study circles at Masjid al Aqsa itself. I would truly describe our travel to the holy land as inspirational, spiritual, educational and fun for all! The cost was very affordable and I have also recommend you to many people already. And alhamdulillah the pre travel seminar was of great help and it had prepared me well for the journey. It was a lifetime experience! Allhamdulillah from the moment I registered my interest to the moment I came back everything was taken care of. I am incredibly grateful that Allah gave me the opportunity to visit Baitul Maqdis. The trip was spiritual and informative, as Mufti Adam has great knowledge and understanding of Baitul Maqdis! We were also provided with regular Watsapp messages, relating to the History of Palestine and important travel information! The pre tour seminar was a great way to meet the other people travelling with the group and ally any fears people may have had before travelling. Luggage tags were provided for everyone and Boarding Passes and Online Check in all done for you. All airport transfers were taken care of. Whilst over there everything was handled expertly, all Ziyarat were informative and a thorough explanation was provided using Quranic verses and Hadiths. The Hotel in the old city is really good, and only a 5 min walk to Masjid Al Aqsa, the food was excellent, and hotel staff were friendly. My overall experience was one filled with happiness that Allah gave me the opportunity to visit, but was tinged with Sadness when it was time to return. May Allah give us all the opportunity to go again. I would highly recommend this tour to anyone looking to increase their knowledge of Baitul Maqdis. May Allah reward Mufti Adam Sahab, and Mohammed Ilyas for all their efforts during the tour. Alhamdulillah ive just recently got back from Aqsa. For me and others in our group it has been a sublime experience of self discovery. Mufti Adam with his abundant knowledge and experience has made this specific tour very interactive. There's so much to learn under his guidance and many years of experience. We had a great hotel with a breathtaking view in the night. Also superb ziyaraat and travel. The food was also amazing, and the sincere service that has been provided by everyone makes this a 5 Star service. I can guarantee that you will not be the same person when you get back. Something positive will forever resonate after visiting Aqsa and the land of the Prophets. My wife and I, along with our two children, (aged 7 & 9), were blessed by Almighty Allah to visit Jerusalem during the May half-term holiday 2016. We have Alhamdulillah travelled quite extensively, but can easily say that this trip was the most amazing experience we've had! Jerusalem, and more specifically, Al Aqsa masjid, is a unique and special place. It is very different from going for Hajj or Umrah, yet the spirituality is on the same level. It's quite hard to describe in words, but something you will definitely understand and feel once you are there. We are incredibly grateful that Allah guided us to visit Al Aqsa with Zaytoon Tours. I'm not sure that the experience would have been quite the same travelling with another group. We were looked after from the moment we booked the trip. Mufti Adam sends out whatsapp messages regularly giving either useful travel advice or historical/important information about Jerusalem and Al Aqsa. The pre-travel seminar held a couple of weeks prior to the trip, was extremely useful and helped to put things into context a bit more. It was also a great opportunity to meet the other group members that we would be travelling with. Transfers to and from the airport were included, which makes things much easier as were all of our meals during our stay - again, making everything much more convenient thus enabling us to save time. We stayed in the Hashimi Hotel in the Old City which is perfect due to its proximity to Al Aqsa - it's only a 5 minute walk. The tour really is packed with many trips, including quite a few out of Jerusalem, but this meant that we were able to visit so many places which are of Islamic significance. It is a land full of such rich history and blessings, and Mufti Adam ensures that you are fully aware of the importance of each and every site you visit through his commentaries. The daily study circles conducted in the morning between Fajr and Ishraaq, as well as most evenings after Isha salaat, added a great deal to the experience and enabled us all to gain a much deeper understanding of the stories of the Ambiyaa as mentioned in the Quran. Many people were quite surprised at our decision to travel to Jerusalem due to the negativity which surrounds the place. However, fears are completely unfounded and this is a trip which the majority of our group members would like to go on again. We're waiting for Al Aqsa - part 2!! May Almighty Allah reward Mufti Adam & Fatima Apa for their efforts in showing people the true Al Aqsa and sharing such vast knowledge with others and grant them strength and good health to continue offering these beneficial and wonderful tours - Aameen. I just wanted to thank Mufti Adam and everyone at Zaytoon Tours that helped out to make a successful trip to Al Aqsa Alhamdulillah. It was an amazing spiritual, emotional and knowledgeable experience. One that will stay with me forever InshaAllah. The whole experience exceeded my expectations to say the least. Very well organised & planned, from the daily tours/ziyaraat to the accommodation & food arrangements. InshaAllah I hope to travel with Zaytoon Tours again in the future. How easy is it to travel to Masjid Al Aqsa? With Zaytoon Tours it is very easy. The spiritual tour starts the moment you are accepted to go on the tour with regular updates before the trip which prepare you mentally and physically and most importantly making sure you are going with the correct intention and for the right reasons. Everything is taken care of, food, flights, travel to and from airport. Most other groups ask you to book your own flight. With Zaytoon the whole group travel together. There is also a pre travel seminar to meet and greet your group beforehand. This was helpful as you get to meet the people you will be spending one week with. We had a mixture of children, youngsters and elders in the group, Zaytoon catered for all and made sure everyone was comfortable. Once in the blessed land, no time is wasted. Mufti Adam has extensive knowledge of not only Masjid Al Aqsa but all of Palestine. At each ziyarat you get a thorough explanation of the significance of the place thereby connecting you with the Quran & Islamic History. We did as many ziyarats as we possibly could. Regular study circles are held after Fajar everyday in Masjid al Aqsa which are interactive and also prepare you for the day ahead. The hotel Zaytoon book is in the old city and is amazing. The rooftop view from the hotel of Masjid Al Aqsa is breathtaking. This was my first trip abroad. Mufti Adam ensured I had everything I needed and also catered to special personal request of mine. I can only thank Mufti Adam and his family for their hard work in making sure the whole group was comfortable and looked after. Before I travelled everyone I talked to spoke highly of Zaytoon Academy & Zaytoon Tours and Mufti Adam and said it was the best tour group to travel with to Masjid Al Aqsa. Now I can also say exactly the same! I would like to take this opportunity to thank Mufti Adam and Zaytoon Academy & Zaytoon Tours for providing me and my family with the opportunity to partake in this wonderful, spiritual and historic trip to Al Aqsa. Mufti Adam kept us informed regarding travel, costs, and any updates for the trip via WhatsApp and also organised a pre travel seminar/meeting. The seminar was beneficial as it allowed us to be introduced to the other travellers. The seminar also gave us an idea on what to expect on the journey from Birmingham to Palestine and what sort of activities we should be looking forward to whilst in Palestine. The journey itself was everything Mufti Adam explained and advised us on, it was organised and efficient. The tour was one of the best experiences of my life; Mufti Adam has extensive knowledge regarding Palestine, not only Al Aqsa but also of Jerusalem and the areas within the West Bank. The study circles were beneficial, interactive and were provided with quotes from Quran and Hadith. At the end of the journey I didn’t want to return from the blessed land and that was largely down to Zaytoon Academy. I highly recommend Zaytoon Academy, whether young or old, male or female, mufti Adam ensures everyone is comfortable and benefits from this spiritual trip. Mufti Adam is very knowledgeable, down to earth and proactive; I will definitely be travelling again with Zaytoon Tours. It was my first trip abroad to a Holy Place (Al Aqsa - May 2015). To sum up in a few words from beginning to when I requested my intention to go to when we we landed back at Heathrow it was well organized and well planned. Mufti Adam well rehearsed in the history of Palestine, provided guidance and advice to a very high standard. Guides and helpers (Elias (Birmingham) & Abu Saleh from Palestine) I cannot fault. Hotel accommodation acceptable as we needed only a few hours to rest as most of the time was taken up with Ziyaraat and tours in Palestine. Hotel only a short walking distance from Masjid Al Aqsa compound and the rooftop view, what a view!! The group I went with had mixture of youngsters, sisters and elders which was balanced and all the group well integrated. Pricing for the tour I visited was well priced, I don't think you could get a better package elsewhere for the sights we saw. Group was well informed via text messages and updates from application to departure. The people of Palestine humble and very friendly, do not read into others you need to visit and judge for yourself. I am a fussy traveller where everything has to be in order and to high standards, but I cannot fault Zaytoon Academy also and most importantly if you go with the right intentions, The Almighty Allah SWT makes it easy, rewarding and enjoyable which, in my case was! I myself Insha'Allah (Allah willing) will be booking my place again for the tour to Al Aqsa for next May (2016) if one is planned by Zaytoon Academy. My sincere thanks to Mufti Adam and the volunteers (Elias) of Zaytoon Academy for giving me a brilliant Spiritual Tour Of Masjid Al Aqsa, may the Almighty Allah grant you success here and the hereafter, Aameen. Alhamdulilah me, my wife and my 7 year old son Muhammad Yousuf got the ability to visit the blessed land of Baytul Maqdis in October 2015. For many years I wanted to visit Al Aqsa and finally Allah accepted me and my family. The tour was truly inspiring and educational. Alhamdulilah we had Mufti saab and his wife with us all the way from beginning to end. We did not have to worry about anything as Mufti saab made all the arrangements for us which included travel, transfers, food and accommodation. Alhamdulilah we did not have any problems the 7 days we were together and the way Mufti saab organised everything was impeccable. The weeks leading up to us going Mufti saab sent us messages to make us understand the importance of the place we are going to visit. This helped me alot as I did not comprehend how much history and significance there was. We also attended the seminar in Birmingham 1 week before travelling and this helped with our preparation before we departed. Once we reached Al Aqsa Mufti saab conducted study circles every morning in Masjid al Aqsa and explained to us the importance of the ziyarats we are going to be doing throughout the day. This was amazing and really helped us understand the life of the Prophets and the stories from the Quraan. We went for ziyarats from after zohar to late into the evening. Whilst doing the ziyarats and travelling to each one Mufti saab would explain to us in detail and ensure we understand where we are going so we all had a very good understanding. Overall the tour was really good and it's hard to put this into words. It is worth every penny and spiritually I felt revitalised when I returned. I would encourage everyone to go to the blessed land and to go with an Aalim is essential. Alhamdullilah, in October 2015 I was granted the opportunity to travel to the blessed lands of Masjid Al Aqsa. The trip was one of the best experiences in my life and this was mainly due to the efforts of Mufti Adam Saab and his team. The weeks leading up to our travel date, we all received regular and timely messages from Mufti Saab regarding the importance of the trip and travel information. The week before the trip, the whole group met up to take part in the pre-travel seminar. In this seminar we were given a detailed explanation of the reasons why were travelling, where we would be visiting and the importance of Al Aqsa. The seminar also give us all the opportunity to meet the people we were travelling with and get acquainted with them. The hotel, which is only a short walk from Al Aqsa, provided excellent service and it was a joy to stay there. Also the rooftop view was absolutely incredible, as it had a panoramic view of the old city. The people there are very welcoming and kind and are always giving salaam. Every day, there was something new we were visiting and seeing. It would start after Fajr, with Mufti Saab who would tell us about the plans for the day. Then after Zuhr, we would set off on our tour. Before going all I knew was that we would be going to Al Aqsa Mosque. However, when we arrived there I was pleasantly surprised to find out that we would be travelling out of Jerusalem to see many important Islamic sites. At the end of the day we would sit with Mufti Saab who would recap over the days activities. I feel as though my word do not do justice to the experience which I was fortunate enough to be a part of. The trip was a life changing experience for me and I recommend that everyone tries to visit Al Aqsa as well. I make dua that Allah accepts the efforts of Mufti Saab and his team and allows them to continue their work. I also make dua that he gives me another opportunity to travel to Al Aqsa with Zaytoon Tours again. Aameen. Alhamdulillah my family and I were blessed with the opportunity to take part in Zaytoon Academy’s Masjid Al Aqsa tour in May 2015. Alhamdulillah it was a truly spiritual and educational experience. All the arrangements made were very well organised from start to finish. A pre-travel seminar was arranged before we left to provide us with the necessary information before travel. Mufti Sahib also sent messages regularly with the history of Masjid Al Aqsa and the importance of our visit. The accommodation was very close to Masjid Al Aqsa, based in the old city of Jerusalem and all hotel staff were very welcoming. The top floor of the hotel provided a beautiful view of the old city and the Masjid Al Aqsa compound. Zaytoon Tours had arranged for all meals as well as transport to and from the places of Ziyaarat. After Fajr we had study circles where Mufti Sahib explained the significance of the sites we were due to visit that day as well as a recap of the previous days visit –MashaAllah we gained much knowledge. This helped us to understand the stories from the Quran and the life of the Prophets in much detail. There is so much Islamic history in Palestine – I would encourage everyone to go to this truly blessed place.Our local tour guide, was excellent – nothing was too much trouble for him. Mufti Sahib, Fatema Apaa and the helpers were always very very helpful. Alhamdulillah my family and I have benefitted immensely from the tour and the knowledge we have gained is incredible. We would like to conclude by saying JazakAllah Khayr to you and all your helpers. InshaAllah we will get the opportunity to travel with Zaytoon Academy again. © Copyright 2019 Zaytoon Academy. All rights Reserved.